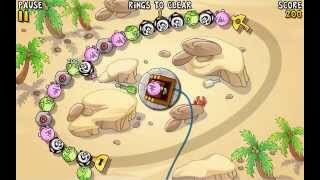 Crazy Rings HD - Funniest game ever! 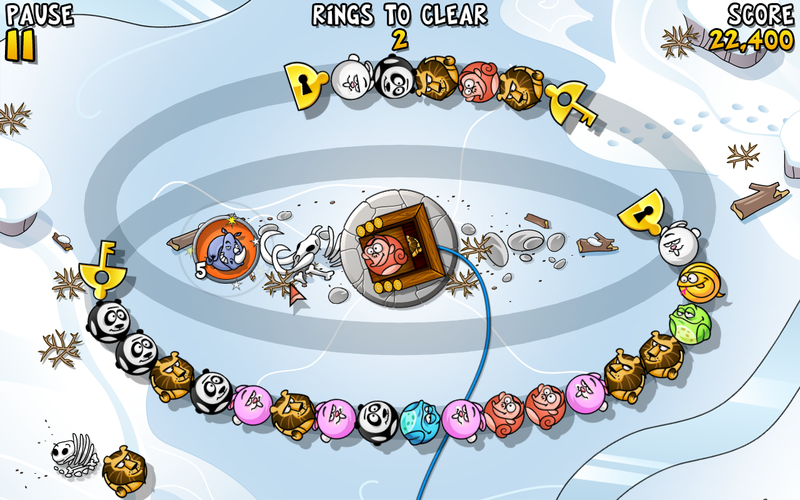 "Riot Rings is the perfect ... game. It’s fast paced, colorful, engaging, and perfect for kids and adults of all ages." "... lots of innovation and challenge and the ability to put a smile on your face. It’s that rare app that absolutely should be an important part of your collection." "Riot Rings is an addictive and endearing action puzzler that just about anyone will enjoy." "Riot Rings oozes cuddly charm." "Nicht nur, dass es wieder mal Spaß macht, Dreierketten zu bilden, sondern auch die Art und Weise, wie das Spiel seinen Charme ausspielt, verzaubert jedes Mal aufs Neue. Für die Freunde des Spielprinzips fällt das Spiel in die gleiche Klasse wie die All-Time-Klassiker Cut The Rope, Angry Birds und dergleichen, so liebevoll und qualitativ wirkt das Game." "... (it) capitalizes on the fun one can have playing games ... using tremendous design and a theme that all can enjoy, both young and old!" 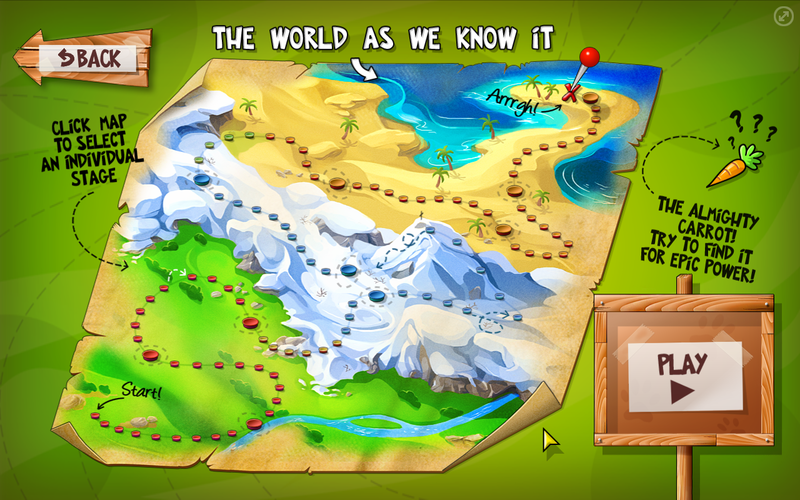 An incredible adventure: Classic, fun game play - revolutionized! Riots in zoos all around the world! Stop the stampede - Play Crazy Rings! Play the first 37 stages without interruption and then 1 stage per day completely FREE! Amazing extras like the flying hambone and the all-mighty carrot! Awesome game play and ideas, tailor-made for touch devices! Hilarious characters and vivid presentation! Profiles - Your girl/boyfriend wants to play too? No need to delete your progress! Game Center - Compare your score with your friends! Completely new: The always available Rocket Rings! Get Crazy Rings today! You will love it! 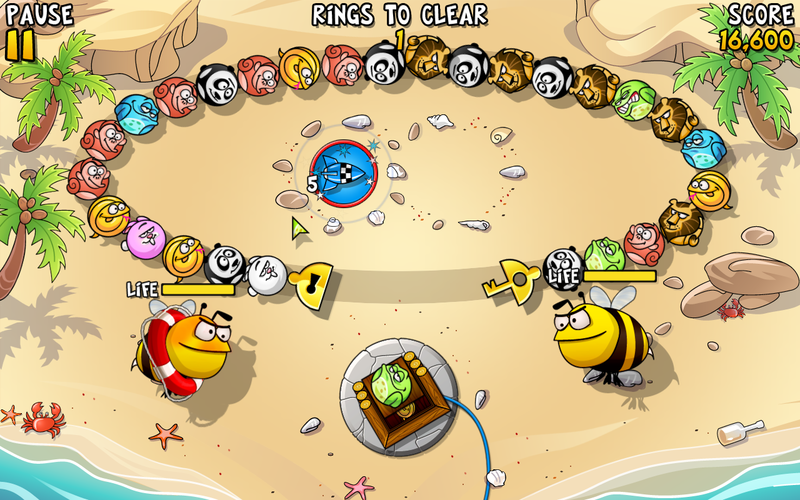 Note: The game was initially released under the name "Riot Rings". 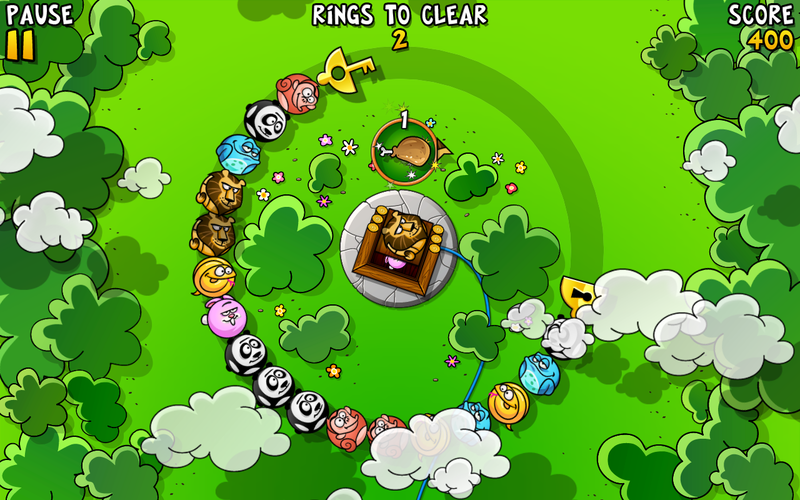 The name has later been changed to "Crazy Rings". 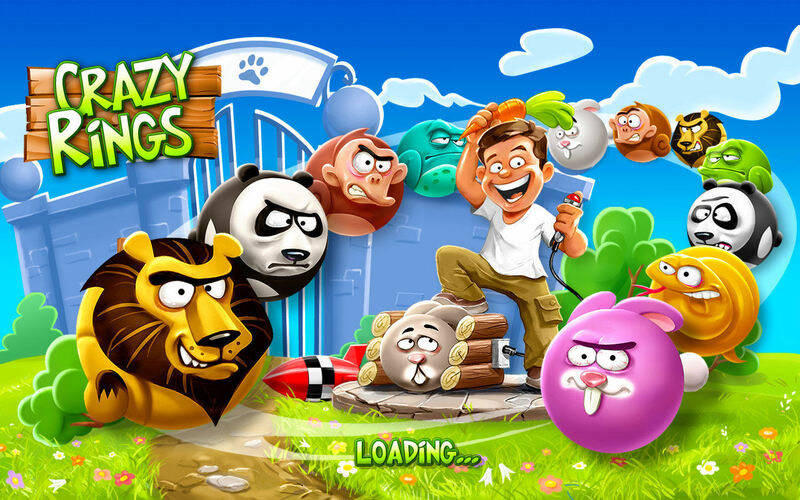 A premium version of the game was released in the App Store as Crazy Rings XL.